Worldwide distribution and a six million-strong audience should help secure Introversion’s future. There have been three new Steam releases announced in the past few days, beginning with Darwinia last Tuesday. Introversion Software’s seminal genre-buster saw almost universal praise from critics but sold poorly, not least because it lacked any form of distribution in America. After near-bankruptcy and an underwhelming response to offering downloads for those purchasing through their site, Introversion are getting ready to begin a Steam distribution deal. 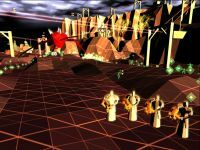 I spoke to Tom Arundel, Introversion’s accountant and the man responsible for Darwinia’s upcoming localisations and the existing Mac and Linux ports. Hello, and thanks for taking part in this interview. I’ll start off with the biggest question for your existing community right now: will those of us who have already bought Darwinia be able to register our boxed copies to our Steam accounts? No. That would be a logistical nightmare – think about it! Secondly, does your new agreement cover Darwinia only? Or will past and future Introversion titles be distributed on Steam as well? Will your new relationship with Valve lead to any new content, features or improvements to any of your games? So we are going to be seeing multi-player games from Introversion? Yes. We have design docs for a multiplayer version of Darwinia – we’re currently scheduling the work / release. We also have a new multiplayer game coming out in Spring that we’ll be talking more about in the new year. 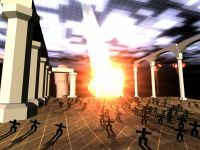 Can you explain the month-long wait before Darwinia is made available? Green diamonds represent the souls of deceased Darwinians. Few people outside of the UK know about Darwinia. Despite our best efforts, US gaming magazines etc really haven’t picked it up. Therefore we need to build up some PR awareness first. Naturally this takes time! We’re also working on a German version of Darwinia (ready day 1) which also takes time to complete. 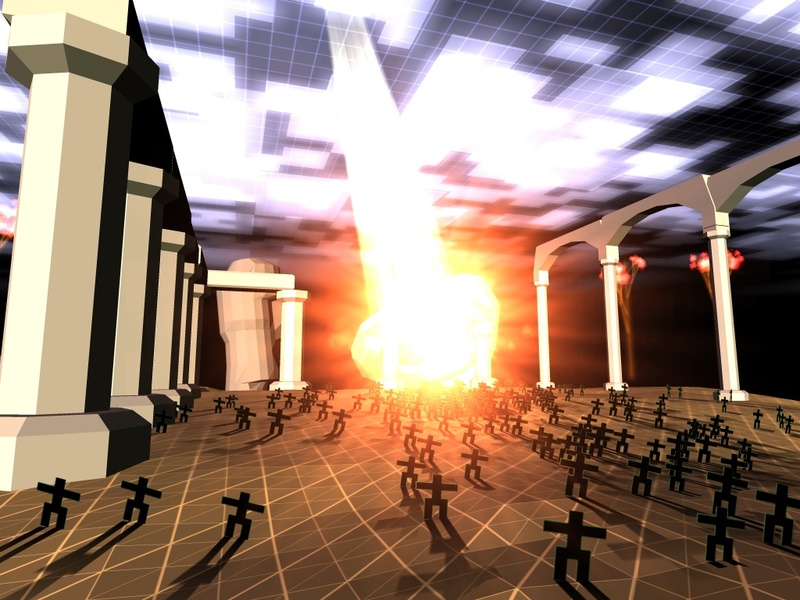 Darwinia will of course be promoted though Steam. But will we see external advertising campaigns as well? Finally, do you expect to see more sales from existing Steam users, or from those who sign up especially to buy the game? Well, you’d like to think that at least some of those 6 million existing customers would be interested in the game! 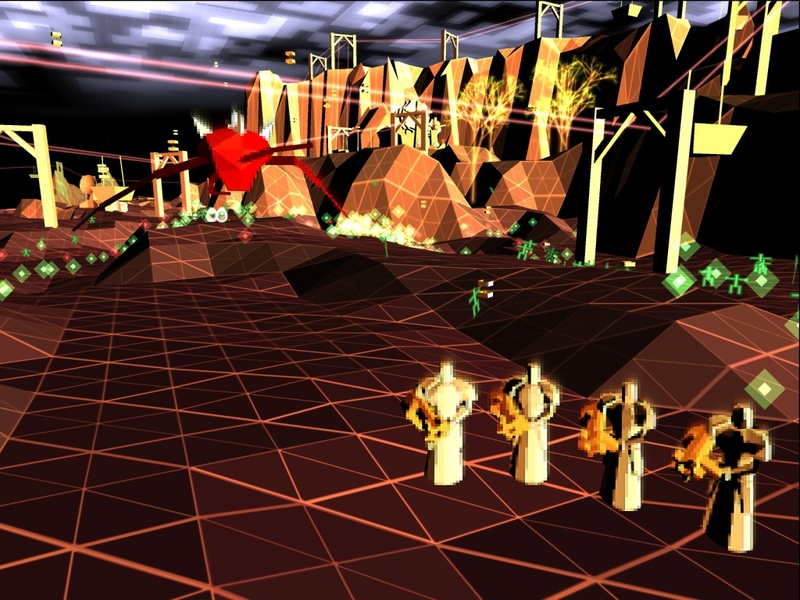 We also expect some new customers to sign up to steam in order to buy Darwinia. As for who buys more – can’t really say – guess it depends on the cross-over of existing FPS customers. Thanks again to Introversion for taking part in the interview! Wow! An interview with the mighty IV themselves! Nice job. It’s always nice to see they have time to do interviews with people other than major gaming magazines. Nice one Steam for helping perhaps the most innovative game designers around. More of this, less of the same old rubbish please. Just so everyone knows, Darwinia is now available for pre-purchase. Apparently you can save $2 off of the usual $19.95 if you order now. All platforms and versions will be supported equally. I really look forward to the future multiplayer addon. If it is as well designed as the game, then all will be right in the world. I had this game given to me ages ago, after installing and updating to the latest patch, i just couldnt find the game ammusing and still now it continues to bore me. For people that have fun playing this game, carry on, guess its just not my type of thing. I’m Korean Gamer. I had not know about Darwinia, but I could know it in the Steam’s game list. I think that distribution with Steam is good idea, and good for World-wide gamers too. I just played the Darwinia demo and i have to say that this game is FANTASTIC!! I really hope valve keeps up its support and the game is brought to the US. adding multiplayer aspect would certainly make this one of the best and most unique games ever created. Darwinia is very close to my heart and im sure others around the world will think so as well. congradulations on a truely superb game and vision. It’s already been brought to the US. Steam is international.